"The Ultimate Man of Adventure!" 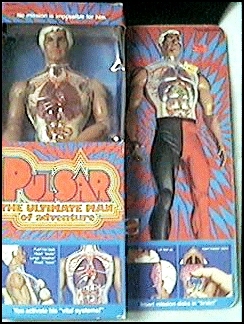 features available on any action figure at that time. computer brain which was hidden behind his removable face. had the blood pumping mechanisim featured in Pulsar.